The Card Grotto: Happy New Year! Get better at taking photographs which includes reading my camera manual and learning how to use it properly! Continue to enjoy making cards! What are you hoping to achieve this year? I do have some personal goals as well but that is mainly to lose some weight and to try and get healthier - I think most people say that though don't they?! I had a rubbish 2013 health wise; first getting Flu then Labyrinthitis, Pneumonia and Whooping cough and an then to finish the year off an ingrowing toenail! I am hoping that this year is going to be so much better in that department. I am starting my year off by returning to University on the 13th (doing a Masters Degree in Healthcare Law & Ethics), I am so hoping that I will like it and do well. I will still be working as a nurse but part-time. Anyway, thank you so much for visiting me today, I hope you all have a happy, healthy and prosperous new year filled with lots of love and laughter. Sounds like you are going to be very busy in 2014. I wish you all the health and strength you need to fulfil your dreams this year. I'm hoping to loose some weight this year too so I will be trying hard at this. You are a brave girl to attempt to read the camera manual. I have tried and it is Greek to me. I have found that YouTube is fast becoming my good friend. HeeHee. Learning so much crafty stuff from folks like yourself!!! I have also learned many skills regarding my DSLR camera (What are all those buttons for? I didn't know I could do that or change that or achieve that, etc). Same goes for other electronic items I have been acquiring like my iPad and iPhone. So many people out there, who have loads of time and expertise to share with me and anyone else who searches. Some of the videos are superb, like yours; others, not so much. Wishing you all the very best with your studies this year, Michelle. Am I seeing things or have you changed your home page? Your favourite colour. Wishing you the very best for 2014 Michelle, with thanks for brightening so many of my days last year with your beautiful cards. My resolution is to try harder at CAS cards - they seem so difficult for me, but I will keep trying. Good luck with the study! Happy New Year, Michelle! Wow, that's quite a list but I think you forgot to add sleep :) Wishing you good health for the new year! Wow I think your tutes and videos are great anyway - they get the message across as do your pics. I'm sure you'll enjoy your Masters course and you're going to be pretty busy with work as well. 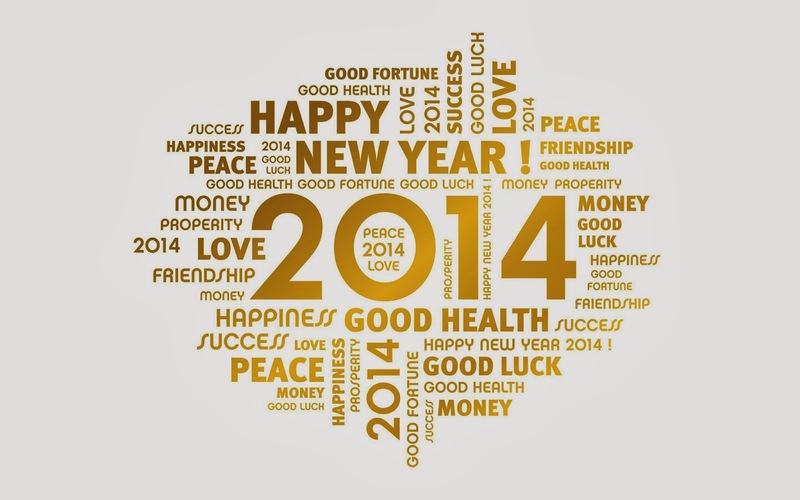 Hope this year proves to be better healthwise for you.